Once again, it was time to take my wine club on a trip to wine country. And, once again, we ventured up to the Central Coast of California, to Paso Robles. We chose to go a little earlier in the season, so we could spend some time with the winemakers, before harvest really got into full swing. Well, so much for plans, as most of California was experiencing and early harvest…about two to three weeks earlier than normal. As the “advanced party” for our group of 24 people, we headed out early on a Friday morning. Once we got through the Los Angeles traffic, it was easy cruising up interstate 5 to the 46 and into Paso Robles. Since we arrived before noon, we decided to check out a couple wineries before lunch. Our first stop was Barr Estate Winery. I first tried Barr Estate wines at one of the family winemaker events in Del Mar, when I saw that they had hired Signe Zoller as their winemaker. I have known Signe for years, and have always enjoyed her wines. I first visited Barr Estates a little over a year ago, as we were creating educational videos about wine making and growing for a new wine education course (to be announced in the future). This time, I actually made it into their tasting room, and was greeted by Tealy Barr (the owner), serving behind the counter. Her husband (an co-owner) Greg, also came in to greet us during the tasting. Barr Estates grows their own grapes, and are farmers first, and winemakers second. Great wines are grown. They have 46 acres of vines, and produce Cabernet Sauvignon, Syrah, Petit Sirah, Petit Verdot, Malbec, and Albarino. They also make a wonderful dessert wine with traditional Port grapes. I purchased three different wines at Barr Estate: Albarino, Grand Finale (the Port style wine made from Touriga and Souzao) and the 2007 Petite Verdot. As I soon discovered, this weekend would lead me to a few other Petite Verdot bottlings, and my new belief that this might be the new “hip” wine for Paso Robles. The Barr Estate Petite Verdot is a smooth, dark ruby wine, with aromas of red flowers, raspberry, cherry and blackberry. At only $29, this is a no brainer purchase. Just around the corner from Barr Estate was the Bianchi Winery, with its’ serene lake for remote control yacht racing. This is an impressive tasting room, with a mix of wine related merchandise in the main building. The large patio out front would be great for enjoying a glass of wine, or even putting on a wedding, if it weren’t so hot the day we were there. The tasting room actually had more white wines than red for customers to try. They only had one estate wine, the 2011 Syrah, which I did purchase. After tasting a few wines, we grabbed a quick bite of lunch at Good ol’ Burger, next door to the Best Western Black Oaks (our “home base” for the next three nights). Our next stop was at J. Dusi winery off of Hwy 46 west. I had met Janell Dusi at the Family Winemaker event in Pasadena, earlier this year, and her Zinfandel was my pick of the tasting. The J.Dusi tasting room is fairly new, but the Dusi name is synonymous with Paso Robles Zinfindel. Janell is the grand-daughter of famed Paso Robles grape grower, Dante Dusi. Janell was in the backroom when we arrived, having been up since early that morning, harvesting grapes. She came out and shared some thoughts on the 2014 harvest, and went right back to work. I picked up both the 2011 and 2012 Zinfandel, and at Janell’s recommendation, I picked up the 2012 Carignane (this wasn’t available for tasting). 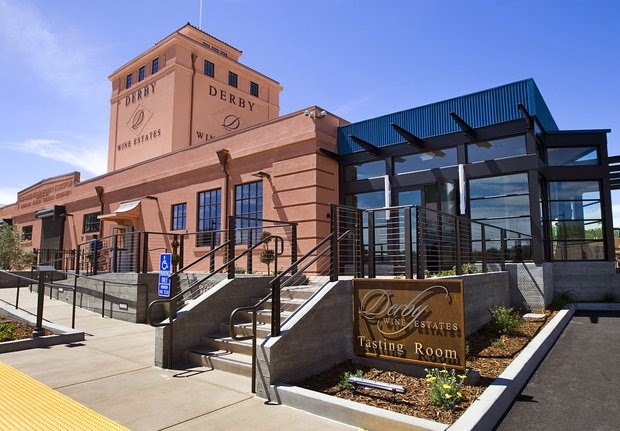 Our last stop before heading out to dinner was at Derby Wine Estates. While you can see their tasting room from the 101 freeway, finding the actual streets to get there was a little more challenging. This was another of the wineries we had met at the Family Winemaker event. At that time, I was very interested in their Pinot Noirs, that were grown out by the cooler coastal region. But this day, each of the Pinot Noirs we tried, seemed oxidized. Once poured, they had a noticeable brown tinge to the appearance. The surprise find was their Rosé of Mourvedre, and at only $18 per bottle, was a nice purchase. items especially for wine lovers. From the very best in wine barrel furnishings to a huge assortment of gift items, cork cages, wine preservation systems, decanters, corkscrews of every kind, photography, artisan food and craft products and so much more. David and his wife, Annie, are in the process of getting their liquor license, and will soon be offering wine tasting at their shop. Our dinner was catered by “Zest-it-up”, and started off with a beautiful spread of charcuterie and live music. We were able to source some wine from Burbank Ranch Winery to pair with all the courses. Our salad course was made with a lemon vinaigrette that was available in the Grape Encounter shop (and sold out quickly when our group bought everything on the shelf). The dinner continued with spicy shrimp and a mustard and panko encrusted salmon topped with aioli. We paired this with the Burbank Ranch Tempranillo. What? Tempranillo with salmon? Yep…it work due to the mustard and aioli. Nice pairing. The evening carried on, and the group slowly headed back up the road to Paso Robles and our waiting hotel room beds. Another full day of wine tasting and food awaited. Check in for next weeks’ blog for day two of a four day weekend in Paso Robles. And check out the wineries, shops and restaurants mentioned here. I always get excited when I hear about a new winery, and taste their wines. This time was no exception. The best resource for finding new wineries and winemakers is from those that you already trust. I had been hearing some “buzz” about a winemaker that was doing small production, red wines, in Lompoc, California. Doing some basic research I was able to contact Angela Soleno, the winemaker and owner of Turiya Wines. We set up an appointment and met on a Monday afternoon. Turiya is located in a warehousing area of Lompoc, not too far from the “Wine Ghetto”. When we arrived, Angela was in the process of punching down her recently harvested Sangiovese from the Stolpman vineyards. She had two large bins of red grapes fermenting: the Sangiovese, and a Cabernet Sauvignon that had recently been picked at Estelle Vineyards, right at the border of Santa Ynez, and Happy Canyon AVAs. As we tasted some of the freshly fermenting juice, I learned a little more about Angela. She used to work as a Project Manager for Consilience Wines in Los Olivos, where she gained experience. As a single mom, raising two children, she found time to attend the Viticulture and Enology program at Allan Hancock College. She was inspired by Stephan Asseo from L’Aventure and Eric Jensen of Booker Wines. With her contacts within the farming community, Angela secured her first fruit bill and harvest in 2008. Turiya only produces red wines, and Angela only makes three wines a year. Two of the wines are single varieties, and the third wine is made from a blend of the two. Angela makes a very small amount of wine with each vintage, only producing as much wine as she can give her personal attention to. She said that she is constantly touching, tasting, and smelling each fermenter and barrel, making sure that the wines meet her personal style preference. As we moved to her “tasting room” (really a cut out section within her warehouse), Angela poured the three wines from the 2008 vintage (total production of 96 cases): Cabernet Sauvignon, Syrah, and Perpetual Bliss (a blend of 60% Cab and 40% Syrah). Both varieties were sourced from the Camp 4 vineyard. She likes to be creative with her blends, combining grapes that are not traditionally blended together. Her 2009 vintage (total production of 182 cases), which was just released includes: Malbec, Petite Verdot, and Hither (a blend of 65% Petite Verdot and 35% Malbec). All of Turiya’s wines are barrel aged for 36 months in once-used oak barrels. Versus new oak, this allows for a nice soft oak tannin flavor. She said she checks the wines after the two-year mark, but doesn’t rush the process. Once bottled, the wines age another year before release. The less manipulation, the better for Turiya. Her single variety wines are typically produced from free run juice. She allows the natural yeast to ferment, and doesn’t inoculate for malolactic fermentation (she lets the wine take its’ natural course). The one thing you will notice right off the bat, with the wines that Angela produces, is that these are food friendly wines. The alcohol levels are lower than what we normally see in California, and the acid levels are higher. Remember our discussion about wine pairing from a past blog? Acid “excites” food and brightens flavors. These wines are intended to compliment your food pairings, and create an elegant wine and food experience. The next thing you notice are the bottles. These are heavy bottles, with long natural cork closures. Each bottle is hand dipped in wax to seal the cork. The single variety wines have vertical labels and the blends have horizontal labels. The logo on the bottle is not your traditional paper label. Each bottle has a screen printed label made from 24k gold. Angela explained where she got the name “Turiya”…. “it is a state of consciousness, where reality and truth are the same”. Angela wants to keep her production small, just enough for her allocation list, which is growing. The initial tasting of her fermenting 2014 Sangiovese and Cabernet Sauvignon have me looking forward to their release in about five years. Asked what grape varieties she wants to add to her mix, Angela said she is trying to source some Anglianico. The only way to acquire Turiya wines is by getting on the allocation list, or by visiting Turiya. Angela holds barrel tastings by appointment at her location at 316 North F Street in Lompoc. You can contact her either by email, info@turiyawines.com or phone 805.478.7016. To learn more, check out her website at www.turiyawines.com. Turiya Wines capture the essence of a garagiste winery: small production, hands on at every step, and fine-tuned to express the winemakers style. These wines are unique, and offer the wine lover something that is different from the rest of the pack. Watch out for Angela Soleno, she could just be producing the next California “cult wine”. Will Paso Robles be Divided? Three years ago, I wrote about Paso Robles. 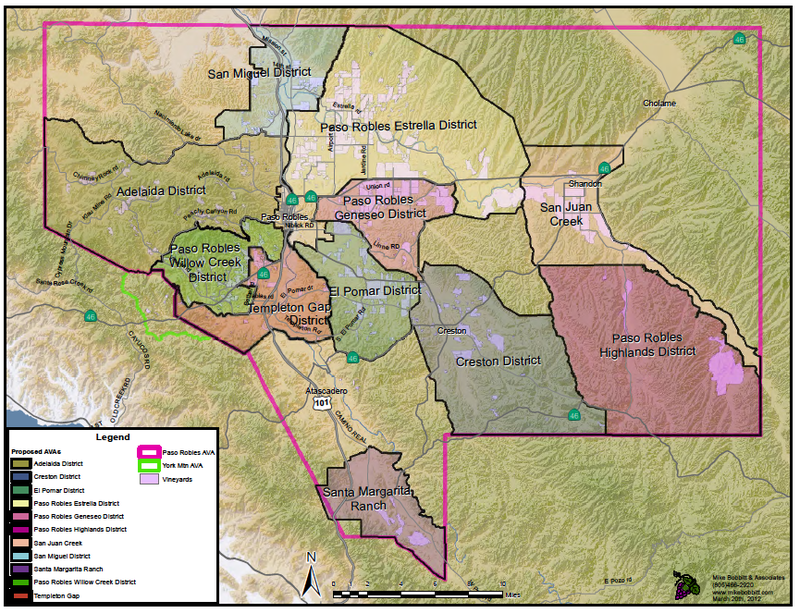 Back then I pointed out that there was a proposal in the works to divide the Paso Robles AVA into eleven distinct districts. The thought is that a tightly defined district would help consumers determine what to expect when they open a bottle from a certain area. Think about it, Napa Valley has recognized districts, and you would expect that Stags Leap would taste different than Rutherford. 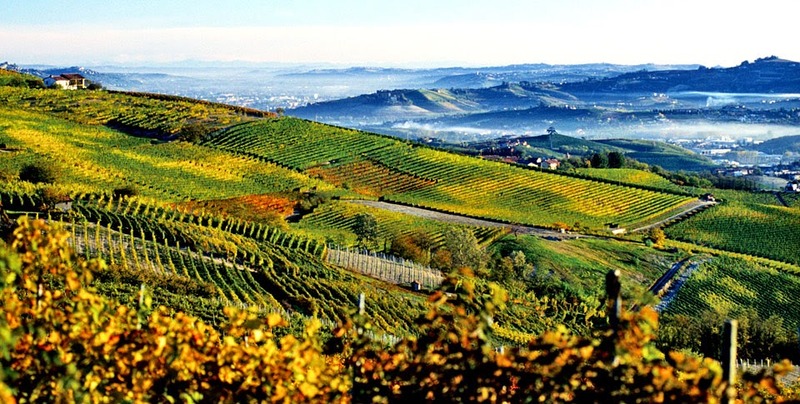 American Viticultural Areas (AVAs) are grape-growing regions distinguishable by geographic features such as climate, soil, elevation, history and location that are recognized by the TTB (Alcohol and Tobacco Tax and Trade Bureau) and used in wine bottle labeling. The Paso Robles AVA is big. At 612,000 square acres, it is the largest appellation in California that doesn’t have any smaller AVAs or districts within. From San Miguel, in the north to Santa Margarita, in the south, there are over 30 miles between. 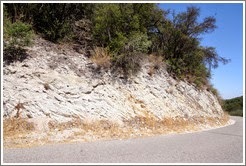 The climate, marine influence, elevations, and soils vary. To lump these into one large AVA, and say they are equal, doesn’t make sense. The first proposal to divide the Paso Robles AVA began back in 2005. At that point, 21 local vintners and grape growers submitted a plan to create an east and west sub-appellation. That proposal fell through in 2007, when many of the original applicants felt it didn’t adequately represent all the differences among the growing areas. 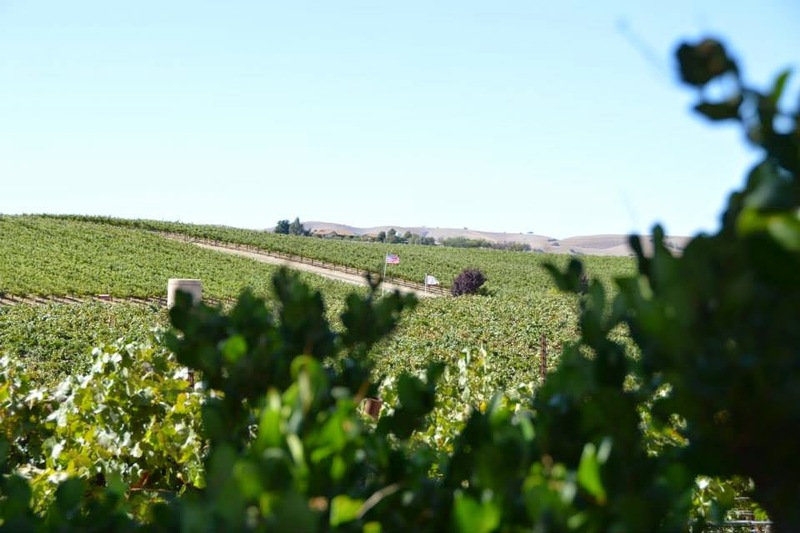 Shortly after, a group known as the Paso Robles American Viticultural Area Committee (PRAVAC), petitioned the TTB to establish 11 new sub-appellations within the existing Paso Robles AVA, that has remained as one large district since it was established October 4, 1983. According to the TTB’s website, the new proposed areas would be Adelaida District, Creston District, El Pomar District, Paso Robles Estrella District, Paso Robles Geneseo District, Paso Robles Highlands District, Paso Robles Willow Creek District, San Juan Creek, San Miguel District, Santa Margarita Ranch and Templeton Gap District. On September 20, 2013, the TTB published the proposal on its’ website, and allowed public comment until January 12, 2014. A final decision on the proposal is expected prior to December, 2014. At the end of the public comment period, there were only 45 public comments submitted. Of those, only three were against. 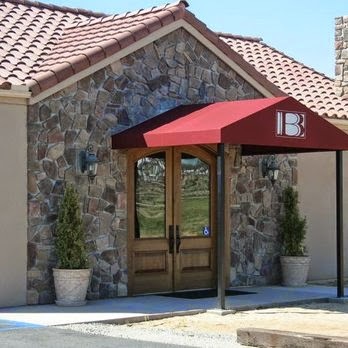 One of the more interesting comments came from the Bronco Wine Company, and it’s concern about brand name recognition for one of its’ wines known as Estrella (one of the proposed districts is Paso Robles Estrella District). The PRAVAC reviewed the comment submitted by Bronco Wine Company and agrees that, "Paso Robles Estrella District" and "Paso Robles Estrella", not "Estrella" alone, are the proper terms of viticultural significance for the Paso Robles Estrella District. As you can imagine, being in the “right” district might make or break certain wineries. As it stand right now, all can call themselves Paso Robles AVA (and they can continue to do so), but with the proposed districts, a winery may be able to capitalize on the differences in their soil, terrain, climate, and in the case of Tempelton Gap…the marine influence. One of the other concerns is that the proposed AVAs will diminish the strength of the Paso Robles name. The California Business and Professions Code§25244 requires that “any wine labeled with a viticultural area appellation of origin that is located entirely within the "Paso Robles" viticultural area shall bear the designation "Paso Robles" on the label in direct conjunction therewith”. 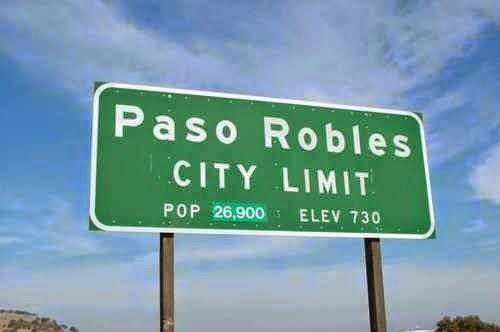 This means that the Paso Robles name must be used on all wines from the region, even on sub-appellation districts. For wine lovers, the events occurring in Paso Robles should be celebrated. The division into distinct districts will help consumers, by supplying them with more information. 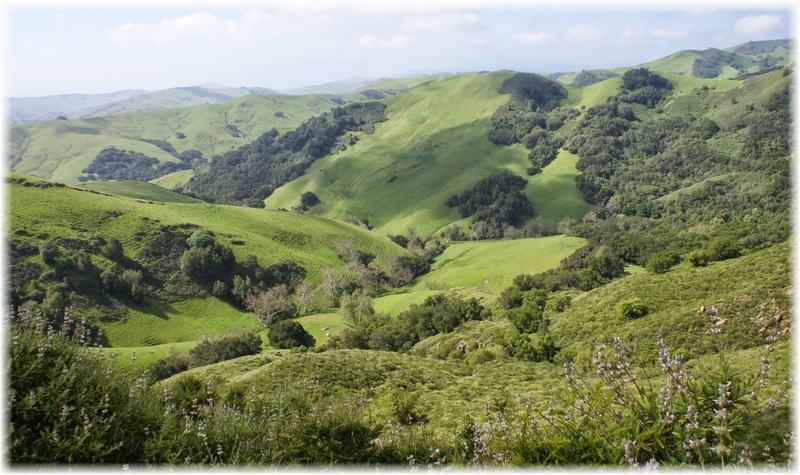 If, and when, the final approvals go through, Paso Robles will have been the most thoroughly analyzed of all petitioning AVAs in the history of California. This could possibly open the door for other wine regions in California (watch out Russian River).